Dog lovers won’t want to miss next week’s Bone-anza taking place at Bluebird Chelsea on the Kings Road. The event is being held in conjunction with Pets Pyjamas, the luxury pet lifestyle website, and will celebrate all things canine. From Thursday the 25th of April through until Saturday 27th of April, the sophisticated courtyard will welcome man’s best friend as owners and pooches gather at the Chelsea hotspot. A VIP launch will mark the start of the event with delicious canapés and cocktails, including Pug Punch and Dalmatian Daiquiri. Thereafter, Bluebird will be serving their usual Tiny Teas in the courtyard accompanied by a special mutt menu with a range of treats for your favourite pet to choose from. 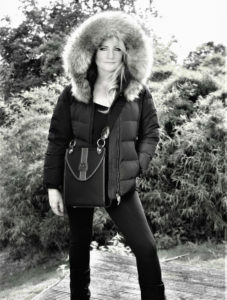 The treats will be supplied by Lilly’s kitchen with a donation going to Battersea Dogs Home. 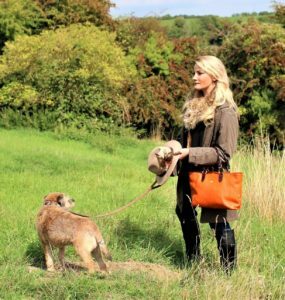 The climax of the dog-loving week will take place on Saturday the 27th of April in the courtyard with a special appearance from Barry the celebrity dog jogger who will be talking guests through the very best in canine health and nutrition. 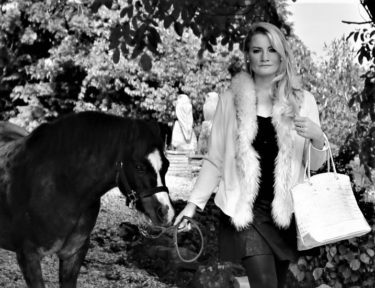 In addition to this there will be a dog shop from PetsPyjamas.com showcasing the very latest in dog fashion and Coco the pet stylist will be on hand to answer all your pet sartorial dilemmas. Furthermore, there will be balloon modellers and a delicious afternoon tea for humans available with beautiful dog themed treats. 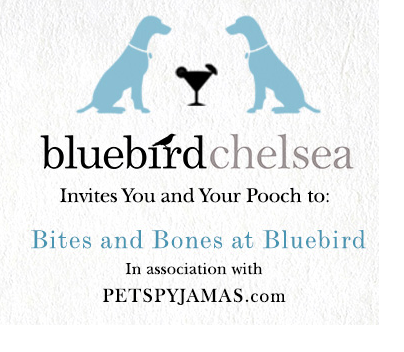 PetsPyjamas’ Bites and Bones event at Bluebird Chelsea will showcase the very best in pet lifestyle and living from Thursday 25th April to Saturday 27th April. Don’t forget to bring your four-legged friend along!